Dear fans of LOD, are you as excited as we are for Christmas this year?! To share the joys of the holidays with everyone, LOD will introduce in-game Christmas decoration as well as exclusive Christmas costumes! We also thought it would be a great idea to bring a cute Christmas pet for you to cuddle. However, our most exciting event of all is the cross-server Snowman event. Many of us have experienced the delight of building a snowman with our friends and family, so with that thought in mind, LOD's Christmas Snowman event lets players across all servers contribute resources to earn amazing prizes! 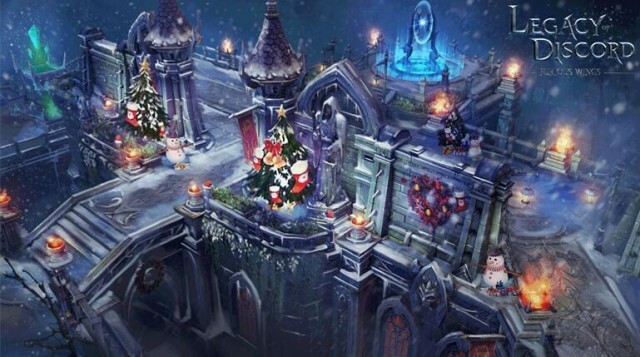 Log in everyday during Christmas for free Diamonds and huge shop discounts! Christmas has swept over LOD and Celestial City shines brighter than ever with holiday decorations to be found all over the city. There’s a new set of wintry Christmas Costumes for each class! Spend your holidays in style! 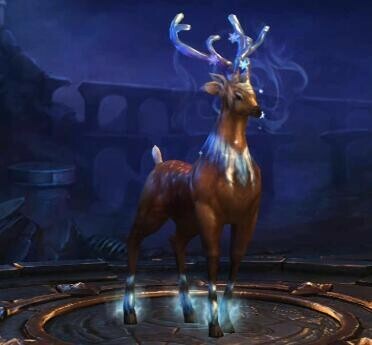 A brand new pet just in time for Christmas, introducing the Warelk! The Build-a-Snowman Event: New server-wide event, collect resources to build your snowman and earn great rewards with the whole server! Christmas Gifts: Come and claim free gifts each day! 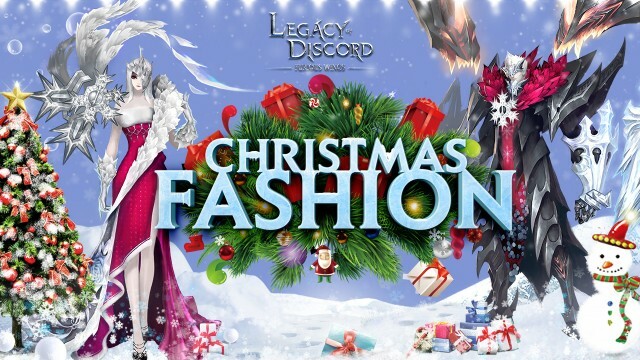 Don’t miss all the wonderful festivities in Legacy of Discord this Christmas! New Costumes, new Pet, and more rewarding events; LOD has it all! Also be sure to check out GTarcade’s special Christmas event to claim even more free gifts every day!